It’s 2016! Movies are 3D, cars run on electricity, everyone and their mother (even their grandmother!) has a smart phone…advanced technology greatly enhances our everyday lives, and it can greatly enhance your dental practice as well. 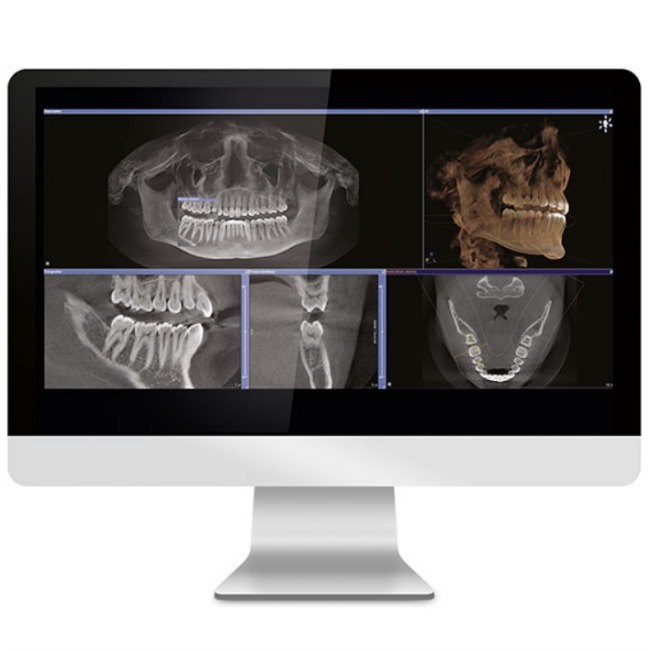 If you’re still using traditional X-Rays, then you’re missing out on a huge opportunity to bring your practice to the next level with digital imaging technology that will positively impact your patients, along with your practice’s bottom line. Digital imaging allows for immediate diagnosis – that’s right, no downtime while you’re waiting for an X-Ray image to process. Additionally, digital images are conveniently stored electronically. See ya later, clunky file cabinets! Best of all, these images reduce radiation exposure, making it a healthier overall experience. 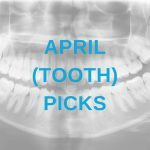 Here are our (tooth)picks for four of the coolest digital imaging technology products currently available. 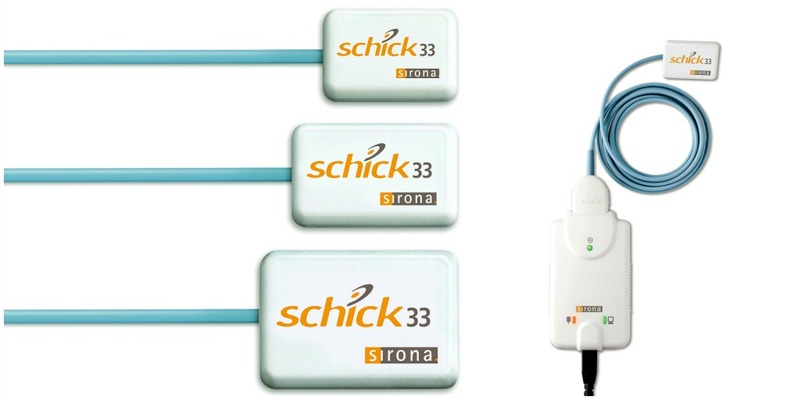 Schick 33 intraoral sensors allow you to gain an unprecedented level of resolution and control over your digital images. They boast the industry’s highest available resolution and lowest learning curve – a win-win! Different procedures require different image settings for the best results, and rather than force you to tinker with those settings, these sensors have a clinical-specific mapping feature which includes several “default settings” preset to your needs. 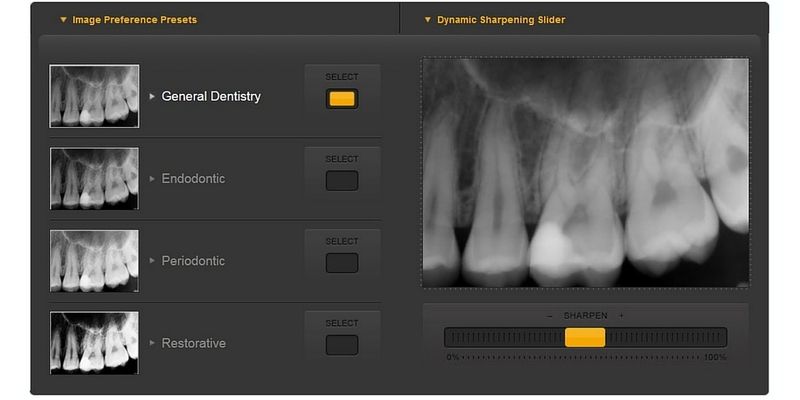 Preset options include general dentistry, endodontics, periodontics, and restorative dentistry. Simulation of preset image preferences, and how easy it is to toggle between various applications. 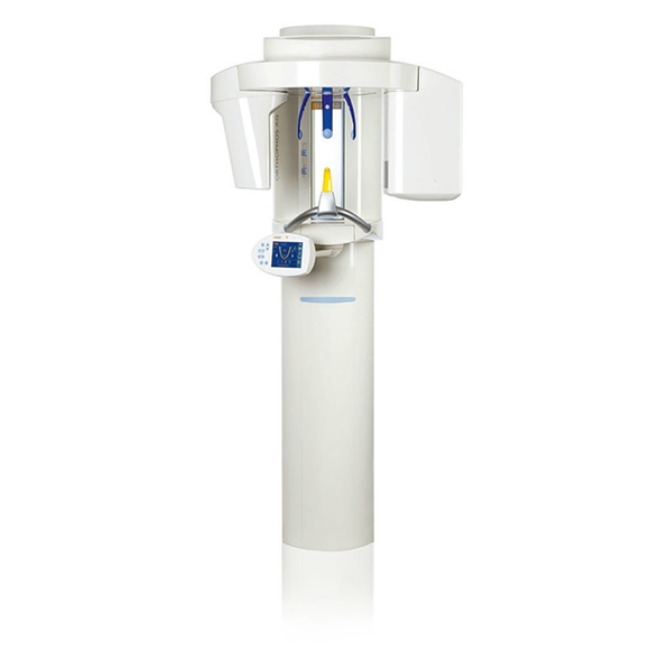 Furthermore, every Schick system is installed, serviced, and supported by a qualified and trained Schick engineer, and comprehensive system training is provided by Patterson Dental. Take a look at this quick and straightforward testimonial from Dr. Philip Menelovitz, or find additional information by clicking the “Shop” link above. 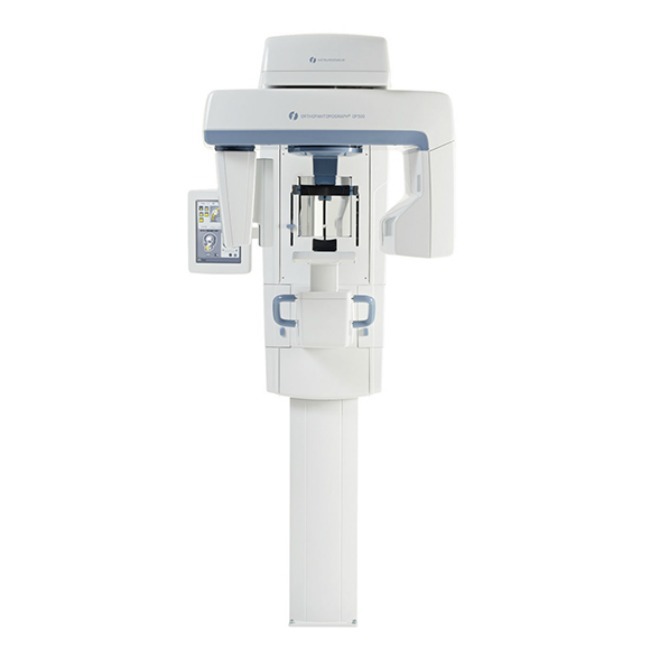 3D imaging X-Ray units like the Sirona Galileos provide the best possible image quality and the lowest dose of radiation. The stunning images these machines capture make it easier for patients to understand the diagnosis, which leads them to more readily accept treatment. 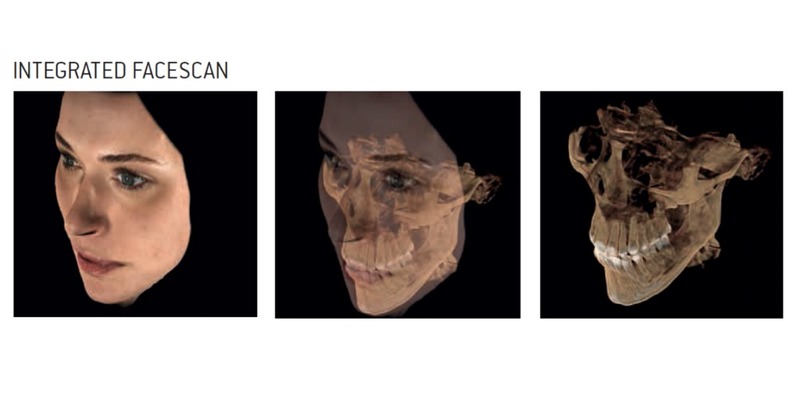 The Galileos uses what’s called “Integrated FaceScanner Technology.” Simultaneously in one scan, an X-ray image and a 3D face image are captured, and automatically (and accurately) superimposed. There’s even an optional HD mode, which takes image quality to a whole new level. The vision of the “virtual patient” is coming closer! An example of the Integrated FaceScan Technology at work. The scan takes only 14 seconds, so the time saved here leaves more time for complex treatment planning, and patient consultation. If you’d like to see the Galileos in action, browse through these case study videos! The Orthophos XG 3D is a hybrid unit, allowing practices to switch between 2D and 3D imaging as needed, and providing the clinical workflow advantages of having both options at your fingertips. This machine can capture the patient’s whole jaw in a single scan, eliminating the need to stitch several X-Ray images together, and thus avoiding multiple exposures to radiation. In fact, it emits the lowest possible effective dose for the patient. Regardless of whether you utilize 2D or 3D modes, the image quality is striking. Here again, the benefits of 3D diagnostics are plentiful. What does the bone structure look like? How great is the distance to the nerve canal? In all dental disciplines, there are numerous questions that can be answered far more easily using 3D imaging. This incredible image detail increases clinical safety, along with your patients’ loyalty and trust. Read more about the Orthopos XG 3D here! The OP300 is not a robot, but rather an extraoral panoramic imaging system. 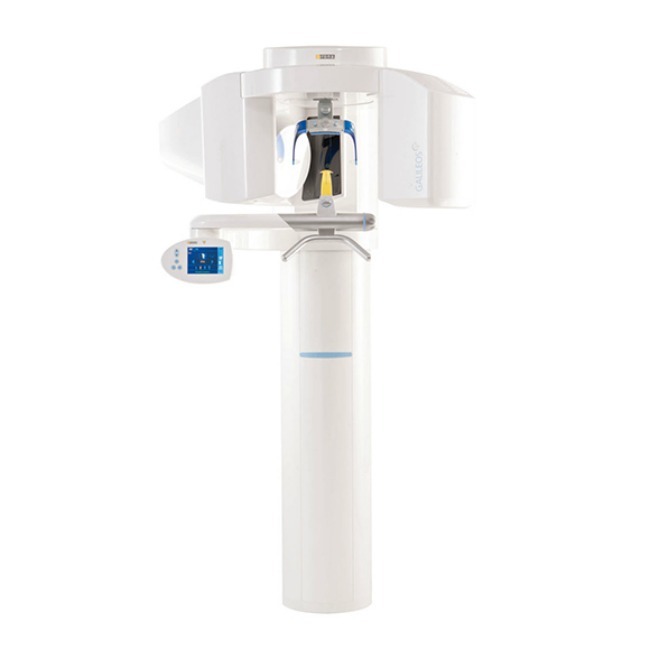 It combines this advanced panoramic imaging capability with either cephalometric or cone beam 3D, or a combination of both – it’s a truly adaptable platform for multiple image applications. Patient positioning is key in order to get the best and most precise images, and the OP300 ensures correct patient positioning through three automatically operated laser lights (okay, so maybe it is a robot…). This technology allows you to select from four different image resolution options. Furthering our claim that this is a “truly adaptable” piece of equipment, there are four possible image resolution options – low dose, standard resolution, high resolution, and even endo resolution, specifically designed for endodontic applications. Click here to view a detailed digital brochure and learn more about the OP300. 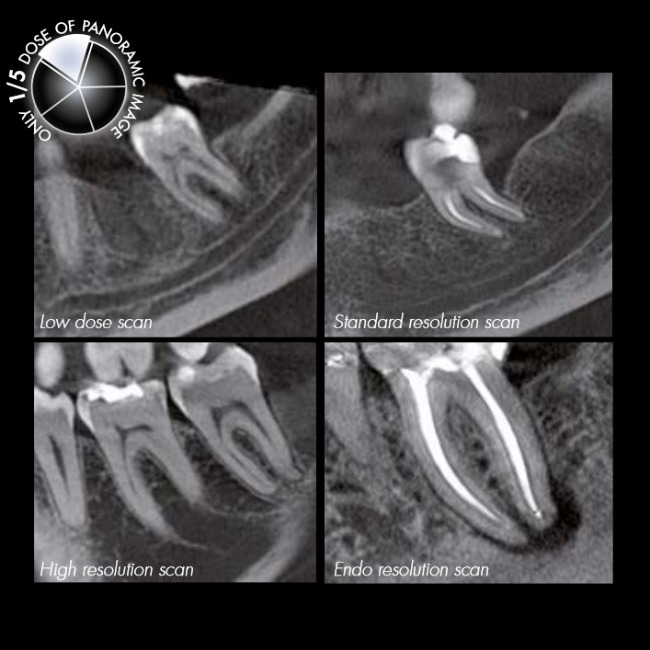 Convinced to ditch your conventional X-Ray system and incorporate 3D digital imaging technology into your practice? We hope so! From ease of use, to convenient digital file storage, to unparalleled image quality which enhances diagnostic confidence for both practitioner and patient, there are many “dimensions” to the benefits of going digital. Hop on your Hoverboard and surf on over to PattersonDental.com to explore more about digital imaging! Cool list. Part of being a great leader is always learning and staying onto of cutting edge technology. Thanks for your feedback, Kevin! Agreed, and this is one field in particular where technology is constantly being updated and improved upon. It’s a LOT to keep track of, but there are huge benefits to doing so. The biggest benefit to digital imaging is that it makes it easy to store files. Once you have your pictures on your computer you can put them just about anywhere. You can send them to an expert, back them up on a cloud anything. 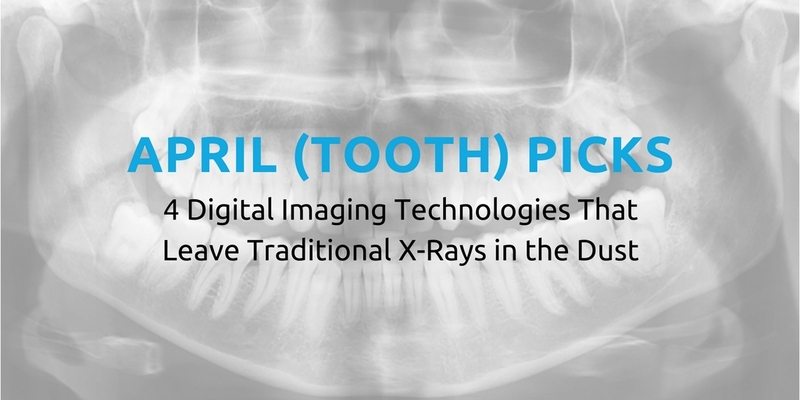 It is no wonder that digital imaging technology is taking off, and not just for dentists. Absolutely, James. Well put, and thanks for your comment! Plus, in honor of Earth Day this month we can view digital benefits with a “green” lens as well – just think of all the paper and materials that are saved when we go digital with imagery! I enjoyed reading this! We use it in my office at work and it truly has so many benefits. Thank you for sharing your insights!